8 People Escape 2-Alarm Fire in Malden, Mass. 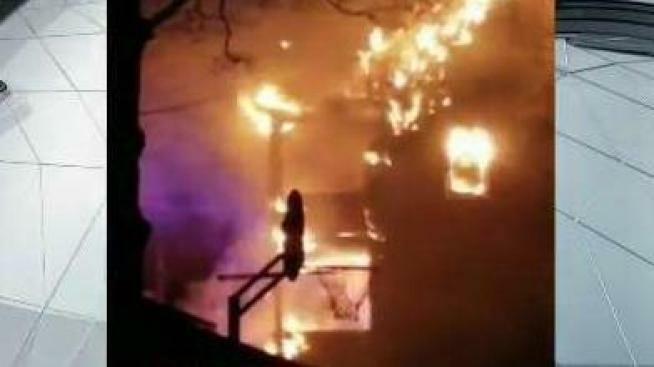 Eight people escaped flames from a 2-alarm fire in Malden, Massachusetts overnight. Firefighters received a call of the blaze shortly after 2 a.m. at a multi-family home on Harvard Street, according to Assistant Fire Chief Bill Sullivan. When they arrived, firefighters had to go into the burning building and woke up three people who were sleeping on the third floor, which was ultimately completely destroyed by the flames. One woman also apparently wanted to go back in to get her cell phone. No injuries were reported in connection to the fire. The Red Cross is now working with displaced residents.